This one issues fair warning to everyone you come across to expect all the chaos that will ensue when your bachelorette steps in the door. I’ve always thought that whole idea was pretty funny. I guess this top doesn’t have to be specific to the bride, so you could just have everyone wear one of these if you want everyone to match exactly. But if you just want a shirt for the bride, this would work pretty well, I think. 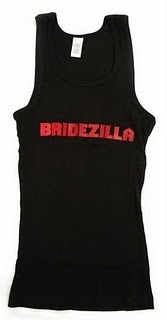 This one just says “Bridezilla” on it. That’s always a fun way to poke fun at a bachelorette who everyone knows can be a little bit of a... well, a bridezilla! 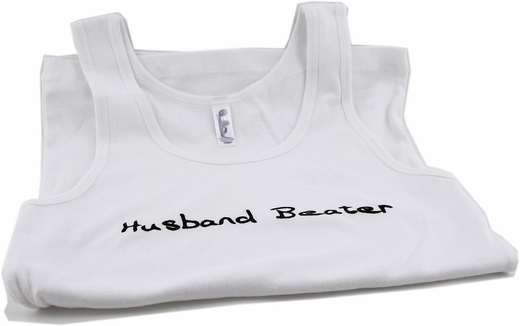 This could be a fun top for the entire party and everyone else if you know the bride will take it in good humor and wear this top with pride. Last but not least, this one is my absolute favorite shirt/tank top of all time. I just think it’s so funny and clever! It’s a play on the fact that this kind of top is called a “wife beater.” I’ve never understood why that is. Anyways, this top is just too funny. 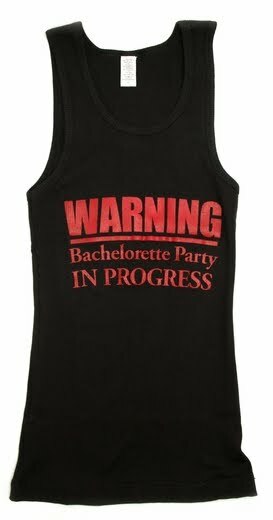 And the best part is, it’s not bachelorette party-specific - unlike most of those other shirts, the bride will probably get more use out of it after the night of the party than on the night of! And I guarantee everyone will laugh at this. I wish someone had thought of this back when I could have gotten it for someone’s bachelorette party. Or better yet, back when I was having mine! Alright, well, I think I’ve said more than enough about shirts and tank tops now. I promise I’ll move onto something else next time!